Nenagh Courthouse – Duggan Brothers Ltd. 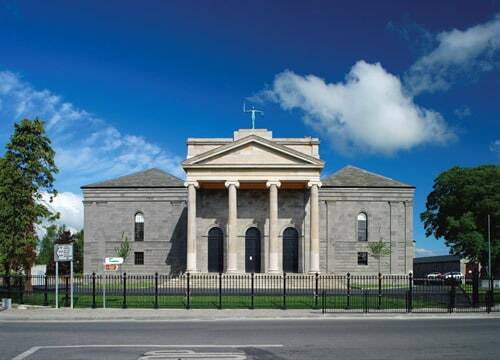 The Nenagh Courthouse project involved the complete refurbishment of the existing courthouse and a new three storey stone clad extension to the rear to incorporate additional facilities. The existing courthouse which dates back to 1842 is a protected structure and the over-riding consideration was the retention and conservation of the existing structure and finishes where possible rather than replacement. 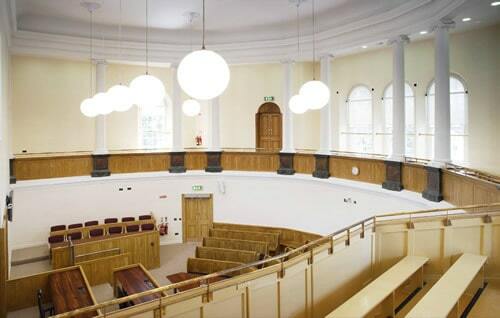 Major works were required to the entire building including roof structure, external stonework, stone porticos, supporting columns, windows and doors, existing lime plastering, cornices, courtroom furniture and joinery generally. 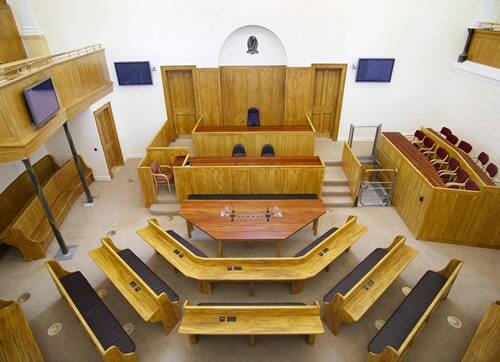 The extensive alteration and refurbishment of existing joinery and courtroom furniture was carried out in Duggan Brothers joinery premises. Sustainability measures included the re-use of existing stone, slates, flooring, joinery and furniture. The project was completed on time to a 98 week two phase programme.